As the April 15 deadline nears for completion of the redistricting process, which will define the political boundaries of San Francisco for the next ten years, progressives worry that all of the city’s liberal bastions might be concentrated into District 6 (South of Market/Tenderloin), District 9 (the Mission/Bernal) and District 5 (Haight/Western Addition). This could result in a permanent 8-3 fix for downtown and business interests. 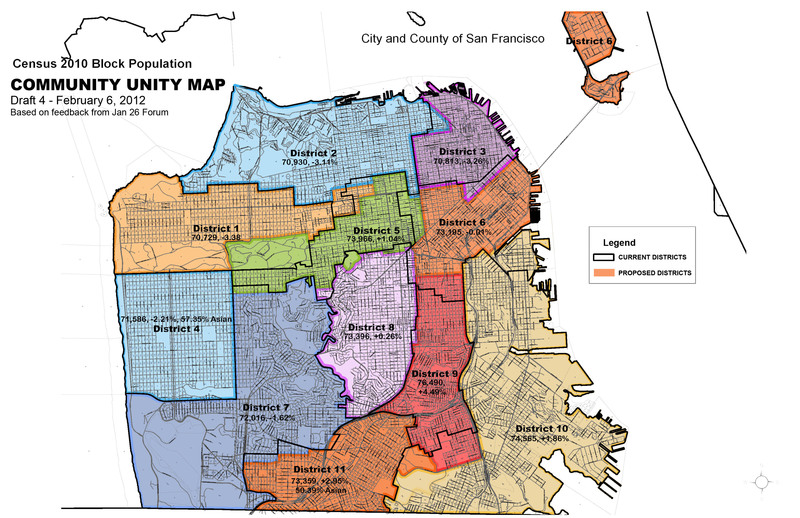 A group of community advocates met last December to strategize on how to create an eleven district map and eighty San Franciscans attended a forum in January to begin work on a Community Unity map proposal. The Unity map currently looks surprisingly close to the Redistricting Task Force’s most recent draft. My two main areas of concern center around how much of the Tenderloin is lost to David Chiu’s District 3 and whether the SRO hotels in the North Mission remain in District 6. Elsewhere in the city, advocates are concerned about District 11 retaining the historic relationship between the Excelsior and the Oceanview, Merced and Ingleside (OMI) neighborhoods, District 10 keeping the waterfront neighborhoods of Viz Valley, Bayview, Potrero and Dogpatch intact and District 5 retaining Japantown’s community institutions as well as Westside Courts and Booker T. Washington and in particular retaining the massive 55 Laguna (former UC Berkeley extension) development because it will have a major impact on Hayes Valley and the Lower Haight. A coalition of community and labor organizations urge you to support the Community Unity map in order to keep our neighborhoods together and ensure that the Board of Supervisors remains accountable to community interests. An important hearing will take place on April 4, 2012 at 6:00 p.m. in City Hall Room 406. South of Market literally means SOUTH of Market. Your map takes a big swath out of SOMA and puts it into D-3, and adds big chunks into D-6 from D-5 (Tenderloin) D-8-Hayes Valley and D-9 (Mission)…all to push your political agenda, with total disregard to the actual neighborhood boundaries by actual definition. MARKET STREET is what defines SOMA. If in fact the demographics are shifting somewhat in D-6, you need to accept that and leave the natural borders of the district alone, not arbitrarily change them to fit what you want to serve your political power. This is gerrymandering at its worst. 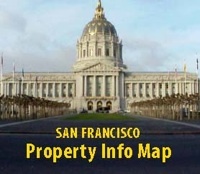 Progressives will still have plenty of clout without putting anything that is SOUTH of MARKET into any other district. I hope the Task Force rejects your map. Humm…the Boogeyman of “downtown and business interests” trotted out again?? A) The monster residential towers (negotiated by a prior progressive supervisor) that have since been blessed by a rather progressive Planning Commission. The BOS somehow believe that density (without a functioning public transit system) is a good thing, and that residential towers without parking will somehow mean that residents will not own cars which will likely not be the case. B) Special interests who are picking apart the Western SOMA plan, including but not limited to big entertainment that is eating up land use to serve out of town kids coming here to act badly, and to line their own pocket. Entertainment, they say, employees people yet only about 4% of all entertainment economic benefit (as recently reported) is attributed to DJ type club venues. Oh yes right…we are just trying to “kill fun” isn’t that the retort?